This morning we were treated to an amazing breakfast buffet in the hotel! I was able to try authentic Beijing yogurt, chicken soup, mango juice and a chocolate croissant. Afterwards, we boarded a van to go to the Summer Palace- this is where the emperor and his family would retreat to in the summer to escape the blistering Beijing sun. With the help of our energetic tour guide Chris, we were treated to interesting tidbits of history as we toured the Palace. The highlights of the tour were walking through the long corridor, climbing longevity hill, and viewing the marble boat. The atmosphere is definitely a lot more relaxed than in the Forbidden City, and the views were gorgeous! Afterwards, we went to a snack street filled with booths selling street foods, including more exotic options like friend scorpions, octopus and centipedes. There were also more traditional foods like glazed hawthorne, dumplings, and kebabs. I opted for a yummy savory crepe (“jianbing”) for a light lunch. Afterwards, we went to the mall where Jenny, Robin and I checked out the dessert shops and cute stores. Jenny and I ended up buying face masks for tonight and cat stationary pens! Then, we met up with the rest of the group and went off in the search of Bubble Tea, which is a very trendy drink. I personally find the tapioca pearls to be addictive, although I know some people hate them because of their texture. After gorging myself on bubble tea, we went back to the hotel for a much needed break. 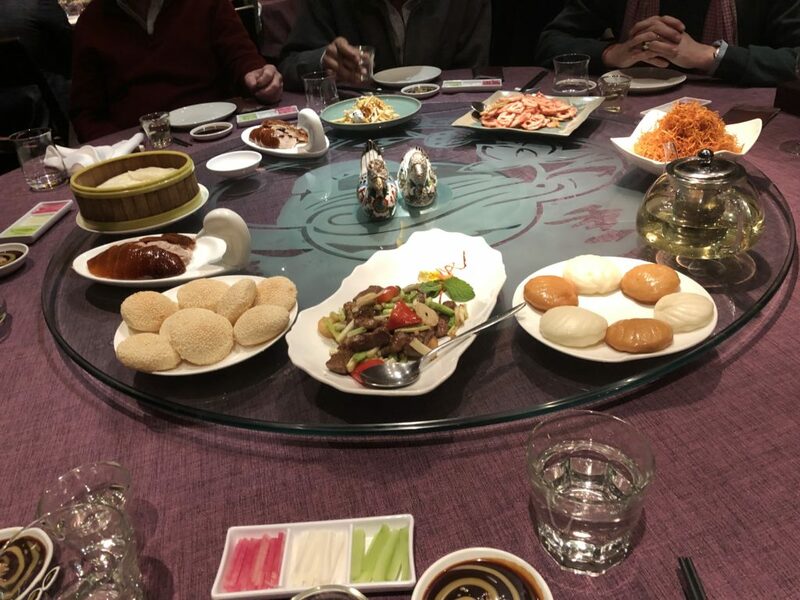 For dinner, we walked to an authentic Beijing roast duck restaurant called “1949” which was recommended to us by several local people. It was absolutely incredible! Everything, from the crispy duck skin to the bamboo shoots was delicious. It was the perfect dinner to wrap up an incredible trip with some amazing people, and one that I will remember forever. 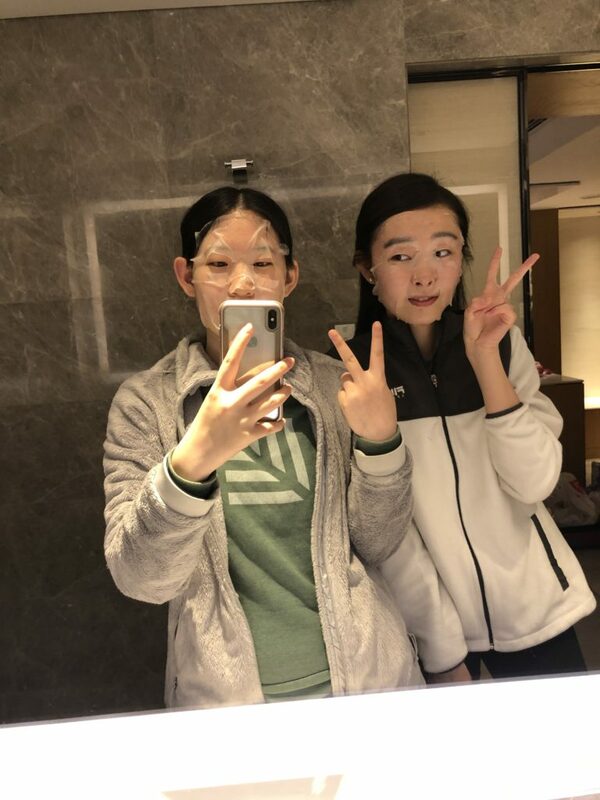 Back in the hotel, Jenny and I relaxed with the sheet masks we purchased. I’m currently in the hotel lobby waiting for a phone interview at 12:30 am – fingers crossed it goes well! Today was truly a special day, one filled with experiencing both past history and new cultures.